The Lawrence-Scioto County Solid Waste District wishes to announce the schedule for the Tire Amnesty Program. This program is free to Lawrence and Scioto County residents. 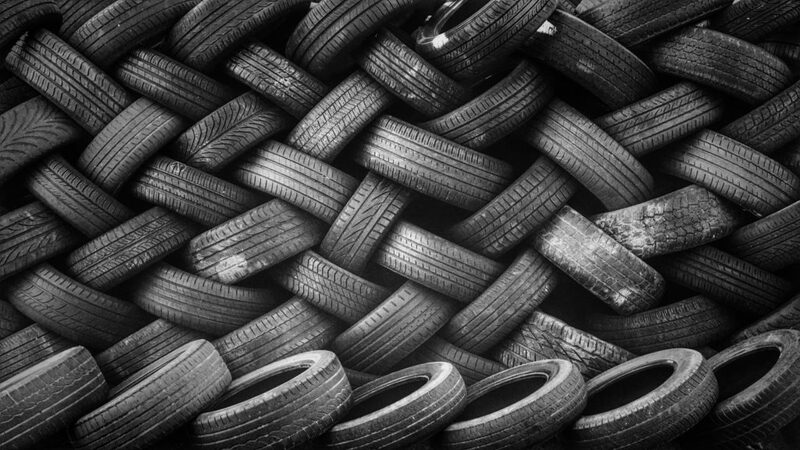 It allows the residents of Lawrence and Scioto County to properly dispose of passenger and light truck tires at no cost. You must provide proof of residency in Lawrence or Scioto County, Ohio. Ohio driver license required. Limit of 10 tires per person will be accepted. Tires must be off the rim. Sorry, no businesses are permitted. Friday, August 17, 2018 New Fire Station – Washington Twp. Friday, Sept. 14, 2018 Burlington-Fayette Fire Dept. The District requests that you remain in your vehicle in order for us to unload the tires in a timely manner. Again, our enforcement officer will be present to verify your residency. 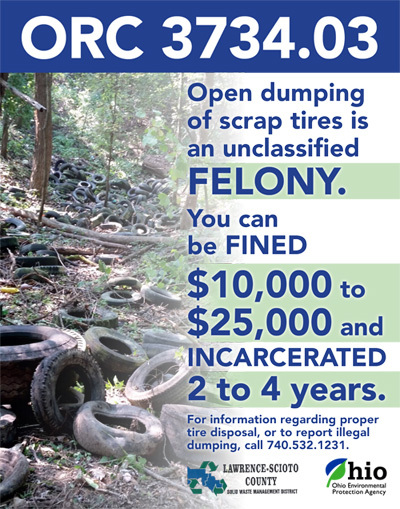 You may contact the District office at (740) 532-1231 if you have questions concerning the Tire Amnesty Program. 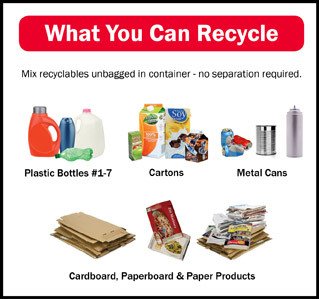 This program is provided to you by the Lawrence-Scioto County Solid Waste District & the Ohio EPA.